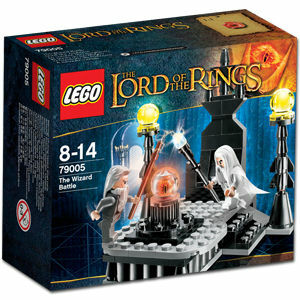 Despite being so simple, this polybag is definitely pretty cute. The new Lego Christmas train brings around seventy pieces and the traditional strong red color, mixed with black, which gives it a very traditional and seasonal look. In terms of elements, it shows a coal locomotive with a few golden bricks, a gift cart in the middle with two presents and at the back, the passengers’ wagon. No details for now about availability on retail or prices, but until Christmas, there’s plenty of time for that. 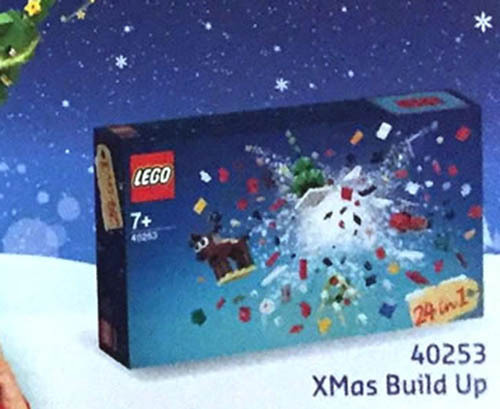 A new Christmas Build Up set, similar to the 40222 released last year, has been seen in an Italian Lego calendar. 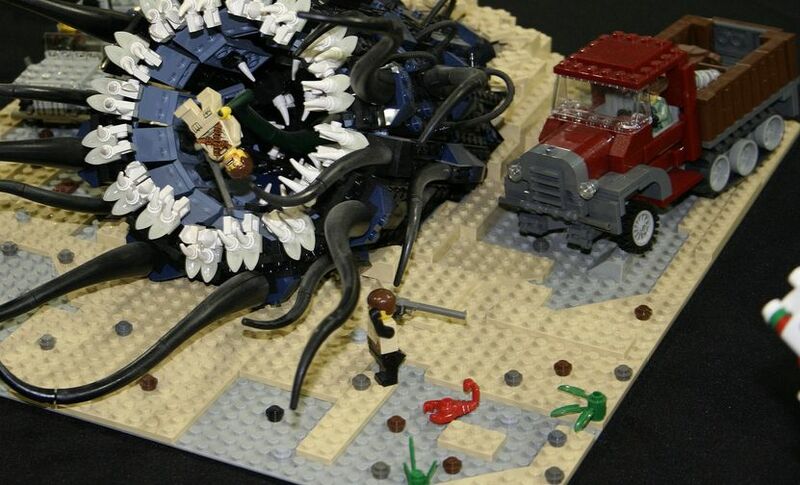 The box features around two hundred and fifty pieces and allows building twenty four different mini elements, even though they cannot all be built at the same time. 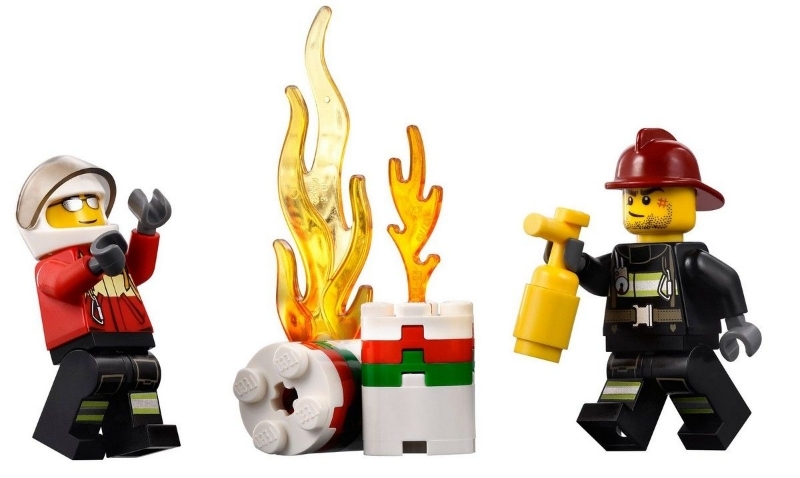 Even that the image isn’t clear, it’s not hard to imagine some of those models: a Christmas tree, a Santa, a small locomotive or even a fire hood will certainly be in the list. The set, in Italy, will be available nearly a month, with purchases over 65 Euros, starting October 22th to November 20th. 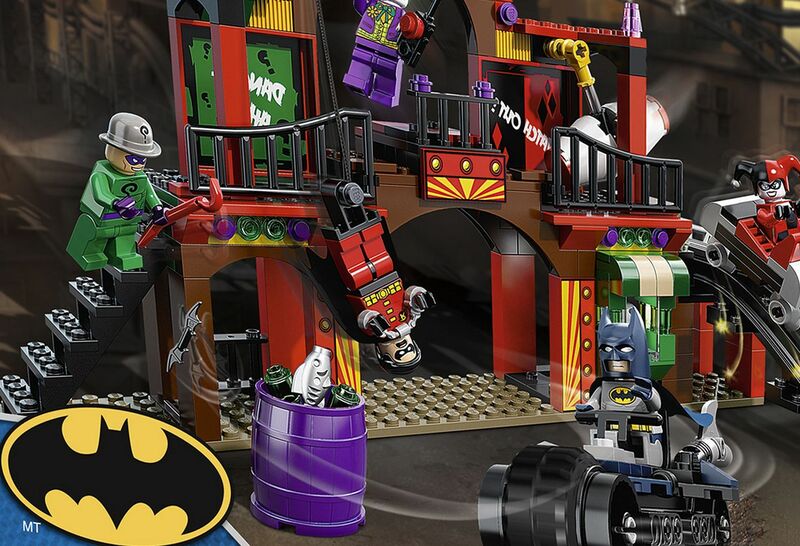 A picture with a second seasonal Christmas set has been unveiled. 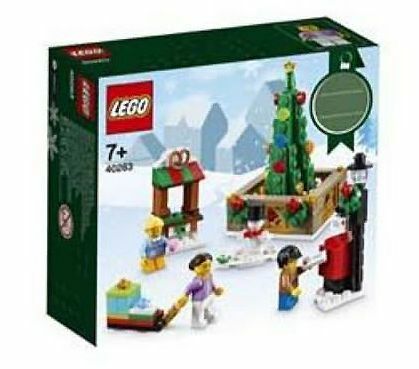 The image shows a bigger box (comparing with the town square) containing one hundred and sixty nine pieces and some really nice Christmas elements to enjoy. 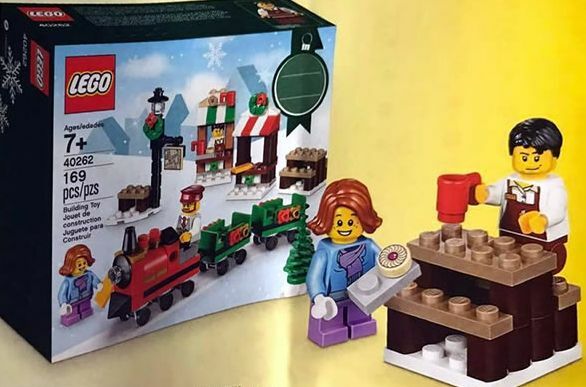 As you can see through the picture, the set contains a small Christmas train with a red locomotive and a couple of green carriages, a street lamp, a couple of stalls with colored decorations a table with included seats and three mini-figures: a girls, the train driver and a boy for the bakery stall. 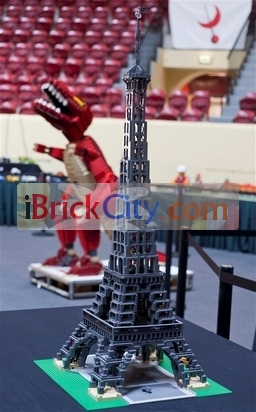 A picture of the new Christmas Town Square, a seasonal set that will be available in the end of the year, has been published on eurobricks and despite its low quality , it’s is possible to observe all the major elements that make part of it. After the awesome holiday train set that will be shortly available, here is another Seasonal Holiday set, the Snowglobe (40223). 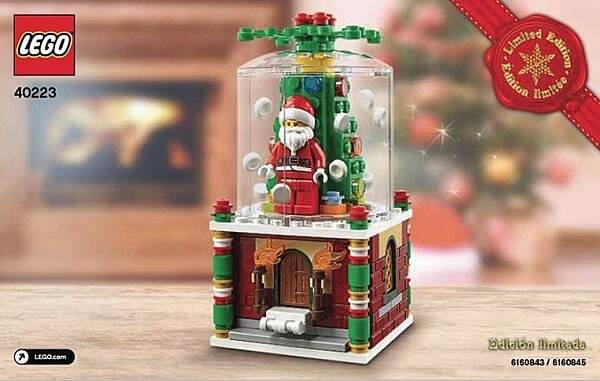 With the usual shapes of an ordinary snow globe and plenty of different colors, it features a small storage compartment in the base and a globe with Santa and a Christmas tree inside. 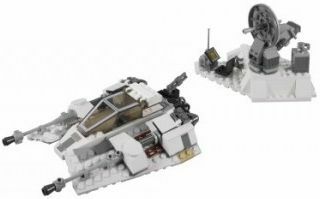 Unfortunately, this will be a limited edition set and will be available only at Shop@Home and Lego stores, as a gift for purchases of ninety nine dollars or more between November 25 and 28th, in the long Brick Black Friday.